MMG Limited is one of the world’s leading diversified base metals companies, and commands a market cap of over a billion dollars. This cashed up major casts its net far and wide, hunting down the most prospective regions across the globe for the next big mineral discovery. Its highly experienced team of geologists recently honed in on the Fraser Range and the hive of nickel exploration activity underway there. One company and 2,250 km 2 of its exploration ground stood out from the rest in the Fraser Range – and that company is Segue Resources (ASX:SEG). MMG was so impressed by the quality of exploration conducted to date, and the potential for a near term nickel discovery, that it is committing up to $14M of exploration funds in a JV with SEG. To cut a long story short, SEG is keen to emulate $1.1BN-capped Sirius Resources (ASX:SIR), who went from securing several Fraser Range tenements in 2009 to a billion dollar market cap in just over 3 years – all down to a large, valuable, game changing nickel discovery. There was definitely an element of luck involved for Sirius – such is the world of minerals exploration. Whilst SEG is hoping to emulate Sirius, there is no guarantee SEG will find commercial quantities of nickel. 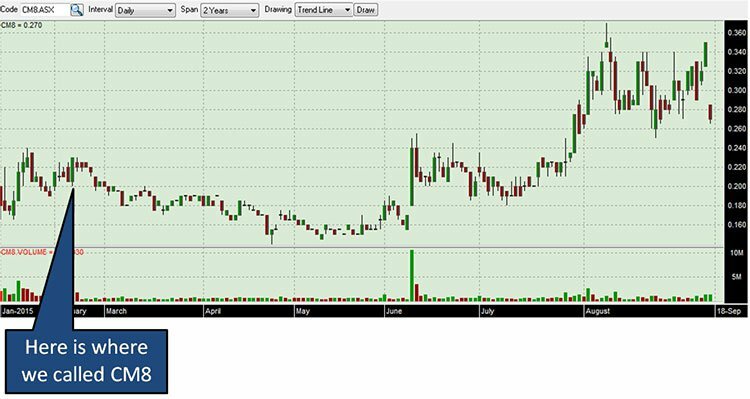 We have been following SEG for two years now as it goes about defining what is beneath its ground, and with a cashed up major now backing it, the company appears to be in a much stronger position to make a nickel discovery than ever before. 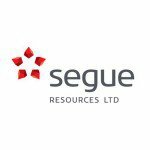 We have covered Segue Resources (ASX:SEG) in some detail over the past 2 years, as the junior steadily explored one of the Fraser Range’s largest tenement packages, covering over 3,300 km 2 . 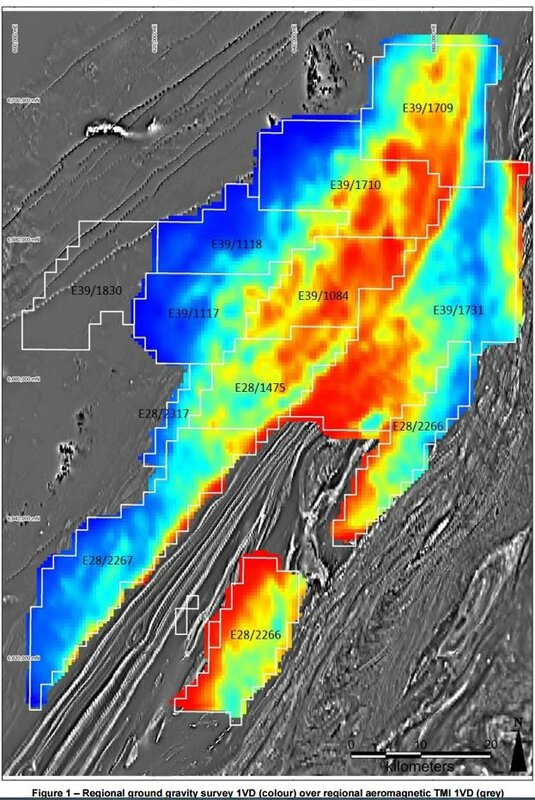 Our first article, ‘ Sirius went from 5c to $5... New Upstart Explorer Has More Land, More Drilling Targets ’ introduced SEG and went into detail about its nickel exploration activities in the Fraser Range. 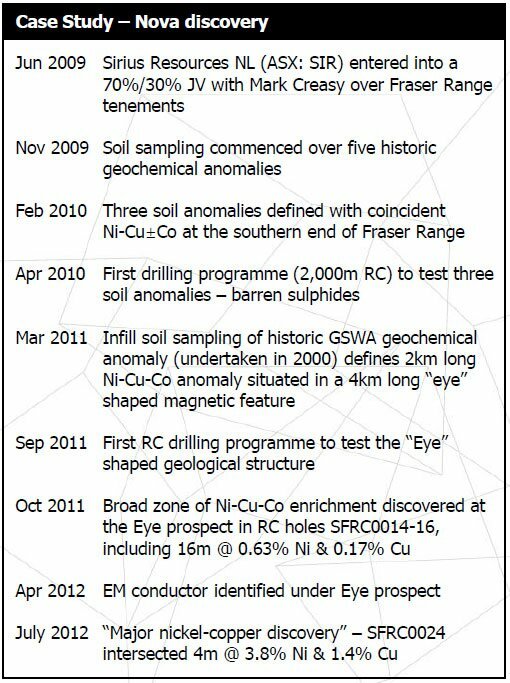 Two years on from our initial coverage, SEG has completed a whole heap of exploration work including aeromagnetic & gravity surveys, 3D mapping and soil geochemistry analysis spread across its primary project, and is edging closer to making that all important nickel discovery. SEG has also secured the very first farm-in joint venture in the Fraser Range Province with a major global resources company. The tie-up with MMG secures funding for future exploration and brings in top notch expertise to hasten and improve current exploration activities. MMG has agreed to spend $14M in exchange for a potential 70% stake in 8 tenements from within SEG’s portfolio. The deal means SEG has its exploration funding essentially secured, and will only have to give up a proportion of its overall resource if one is found and defined. The additional exploration funds are likely to help SEG hasten its exploration activity in the near term, guided and directed by MMG’s highly credentialed exploration team. And given MMG’s experience and market position, it would be in a good position to assist considering its credentials and active development projects currently in the pipeline. If one thing is for sure, it’s that nickel discoveries take a lot of effort and exploration dollars. As you can see, Sirius spent several years in exploration before its elevation higher on the back of a significant nickel discovery that had large commercial potential. SEG is now attempting to walk a similar path, but backed by a strategic $14M JV agreement that funds further exploration in return for stakes in SEG’s projects. ...and why SEG has come back onto our radar. Sirius was a very small company before it made its nickel discovery. Despite owning the third largest tenement package in the Fraser Range, SEG’s market valuation is somewhat lagging. This creates the opportunity of a share price convergence as SEG is considered relatively undervalued to other comparable nickel explorers, capped at around just $6.5M. Ideally SEG needs to hit a significant strike of nickel in their next drill campaign – which would see a rise almost overnight of SEG’s market cap. However there is no guarantee of success here – caution should be taken when considering an investment in SEG. Mapped out below is SEG’s Plumridge Project showing SEG’s tenements in Blue, MMG’s 8 farm-out tenements we mentioned earlier in dark blue, and Independence Group NL (ASX: IGO)’s tenements in Yellow. And SEG has been quick to get the job done by putting in drill holes, taking samples and now awaiting results. RC drilling of the first high priority targets has commenced with 1,000m already done with assay results due to be completed in the coming weeks. 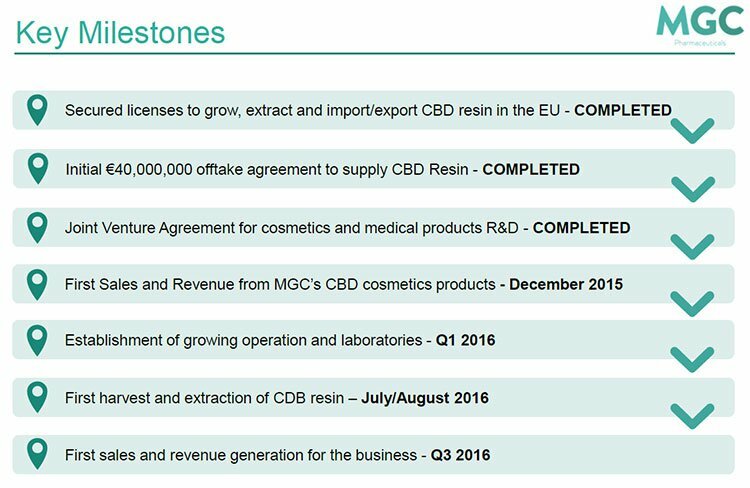 Mapped out below is the latest state of play for SEG. As you can see, there are over one hundred ‘gravity anomalies’ (shown as yellow dots) which SEG has now whittled down to 15 prospective targets currently being drilled (shaded red). The 7 most recent drill holes are shown as purple dots. One of the most compelling aspects to the data for SEG is that data from its northern targets indicates potential nickel-hosting intrusive bodies are at an average depth of around 80m which is reasonably shallow and therefore easy to reach. Gravitating Towards a Nickel Sulphide Discovery? 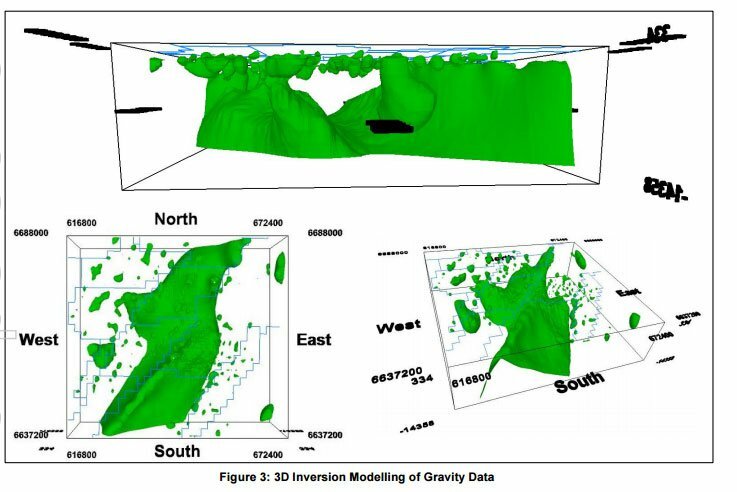 SEG’s most substantial (and lengthy) piece of exploration has been its gravity survey, completed at Plumridge over the past year, with work that extended to include aeromagnetic & gravity surveys, 3D mapping and soil geochemistry analysis. ...which in layman’s terms means SEG obtained a much better visual understanding of what it has locked away below the ground at its Plumridge Project. 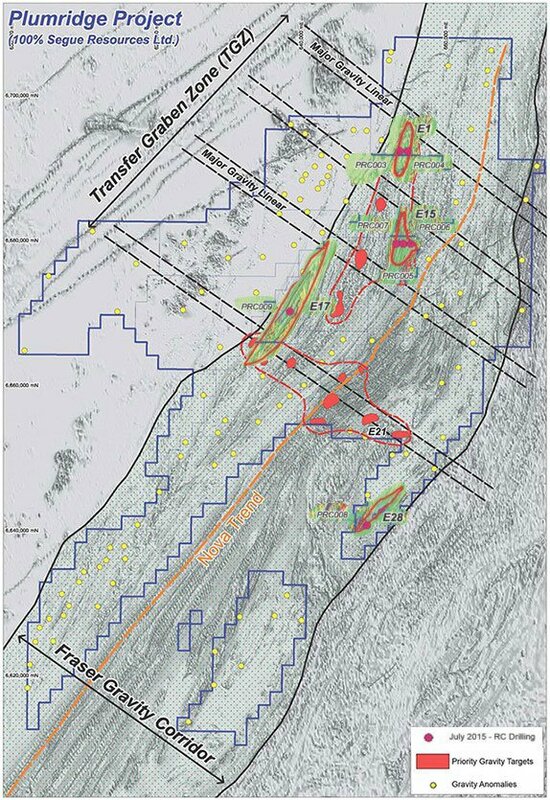 As a consequence, SEG was able to identify 15 high priority targets that may well feature mineralisation, including close to surface “gravity anomalies” that put substantial nickel sulphide deposits within easy reach for SEG. The Plumridge ground related to the JV with MMG is all the focus right now, especially given the amount of cash backing behind exploration here. But SEG also have a few other projects cooking away in the background, so let’s take a closer look at those. With licenses covering an approximately 760 km 2 , this project is SEG’s second priority after Plumridge. The project is located 120km from SIR’s mammoth Nova-Bollinger deposits and is adjacent to Mount Ridley’s (ASX:MRD) nickel project. SEG recently announced a lead-in JV agreement with Omni GeoX – a geology specialist who SEG was using for its own geological assessments. 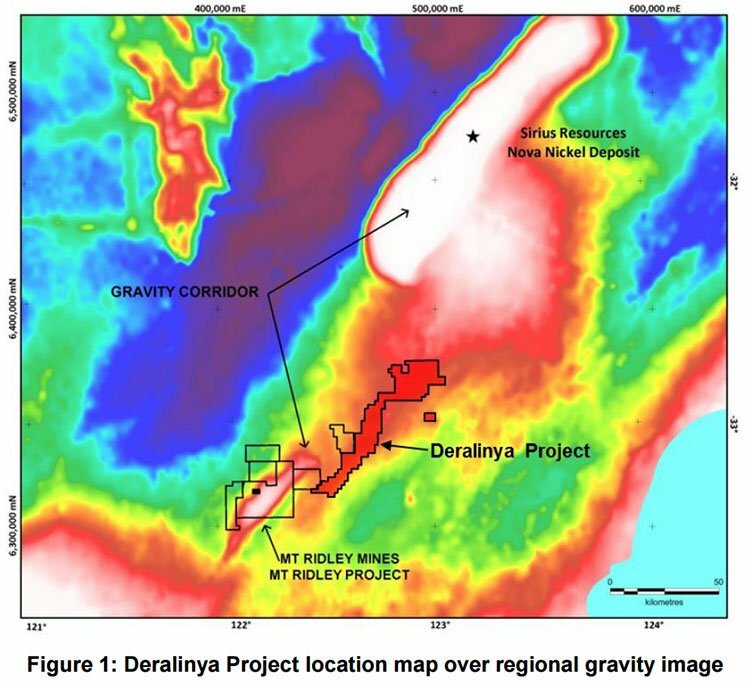 Under the terms of the venture, Omni can ‘earn-in’ up to a 30% stake in the Deralinya Project if it carries out at least $130,000 of exploration expenditure. Moving forward, SEG will still continue exploration at Deralinya but will share the cost of doing so via a 70/30 split with Omni. This type of farm-in agreement is an excellent method of advancing high-value projects as it shares the costs (and risks) of conducting pricey exploration and fieldwork. In tough economic times, there are still plenty of opportunities – it’s just a question of how independent you can afford to be. As part of its agreed farm-in expenditure, Omni has already initiated a soil sampling program that has so far generated 308 drill samples. The samples were sent away for detailed analysis in early August and the results are pending. But judging by its magnetic imagery, SEG seems to be lurking in the right spot for a significant nickel sulphide deposit. Omni’s geophysics work has led to the identification of 6 target areas , most likely to contain high grade mineralisation below the surface. One omen SEG is likely to be mindful of is the recent increase in exploration activity by neighbouring explorers such as Mt. Ridley (ASX:MRD), Buxton Resources (ASX:BUX) and Pioneer Resources (ASX:PIO). 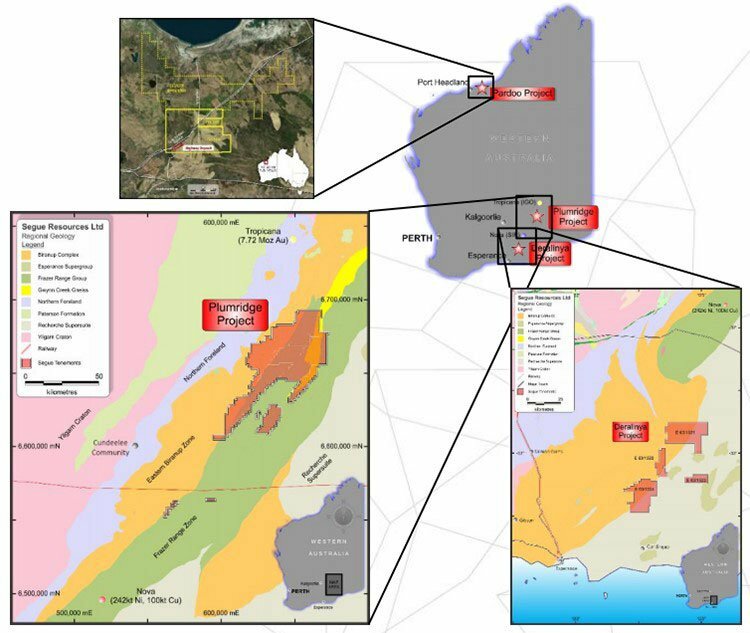 And just recently, Independence Group NL (ASX: IGO) entered into the Salt Creek joint-venture with AngloGold Ashanti covering close to 3,000km 2 of tenements to the north and south of SEG’s Plumridge project. IGO has undertaken a detailed gravity survey and air core drilling which has identified areas of anomalous Ni and Cu geochemistry. 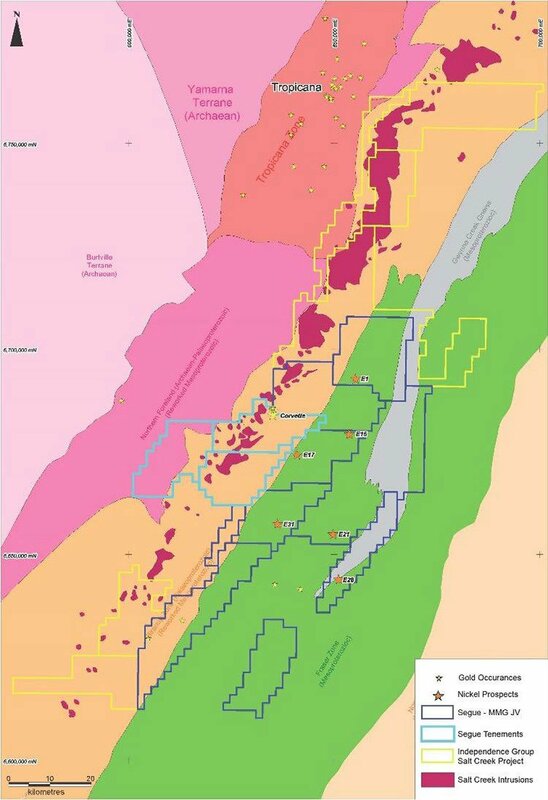 With Fraser Range exploration continuing unabated, it confirms SEG are in the right region for high potential minerals exploration. The recent flurry of activity suggests that all the budding explorers in the region are aware of the same thing – there is significant potential for more nickel resources to be discovered in the Fraser Range. In a similar vein to Plumridge and Deralinya, SEG will utilise a farm-in model at its third project – Pardoo. ...and a further 29% (to bring its total stake up to 80%), if it spends a further $250,000. The deal effectively allows SEG to maintain exposure to highly prospective tenements without spending more exploration dollars on the Pardoo Project. Its hopes and ambitions are first and foremost at Plumridge and therefore, most of its future exploration is targeted there. And finished off by its active Controlled Placement Agreement (CPA) with Acuity Capital which guarantees SEG at least $1M in funding if and when it needs additional capital. ...exploration to hopefully define the largest and highest quality nickel sulphide resource possible. Which would be great for SEG shareholders, however there are no certainties here – SEG is a small cap, speculative investment. SEG has completed several transactions over the past 2 years to achieve 100% ownership of over 3,300km 2 of tenements in Western Australia – with no 3rd party royalties or deferred payments anywhere in sight. The company has also been able to define its targets to the point where it’s been able to attract the first mining major JV deal in the Fraser Range. This is a significant milestone because after doing the hard yards of exploration for several years, SEG may now be on the final straight to a discovery. After SEG processes all its fieldwork results in tandem with resource-experts MMG, the explorer is likely to be in a position to complete additional drilling and with it hopefully a substantial discovery. But this is a speculative investment – there is simply no guarantees in the world of nickel exploration by small companies – SEG may find nothing at all. In any case, here at The Next Small Cap, we’ll be keeping a close eye on how it all plays out for SEG, keeping our readers abreast of developments.